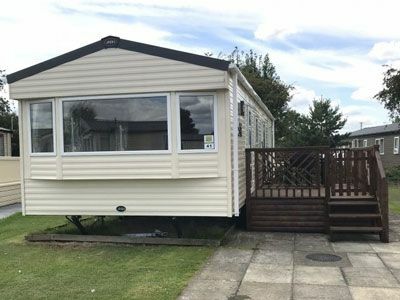 ABI Trieste 2015 36ft x 12ft luxury caravan, with central heating and double glazing. Two W/Cs. Sleeps 6 (or 7 if aged 2 or under) in 3 bedrooms, one double room and two twin rooms. The kitchen is complete with full size oven, large microwave, full size fridge/freezer, kettle, toaster, and all pots, pans and utensils. The spacious shower room has a large shower cubicle, wash basin and toilet. There is also a separate toilet. The lounge / dining area is complete with TV,DVD and a selection of childrens DVD's. An iron, ironing board and hoover are also provided. A smoke alarm and carbon monoxide alarm are provided for your safety. Excellent location close to the supermarket, swimming pool, theme park, zoo, club and all the entertainment. If you call please mention you have seen our caravan on Flamingoland Rentals.